Leave Holberg Office/Shop area and follow signs to Winter Harbour. When entering South Main, be advised that loaded off highway logging trucks may be encountered. 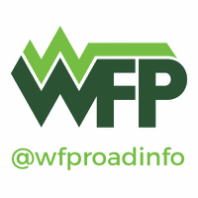 Check current road conditions on Twitter using @WFPRoadInfo and the #WinterHarbour hashtag or the feed on this website. Cellphone service is very limited and unreliable on this road. Issues like flooding and heavy industrial activity could end or significantly slow down your trip.